50 Cent ﻿took a chance on bitcoin years before anyone knew what cryptocurrency even was and it's paid off more than 7 million times over. 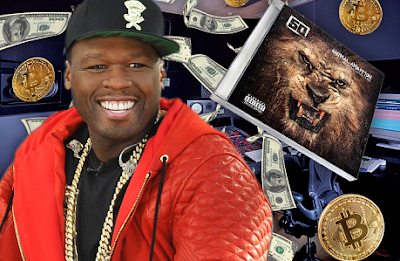 Rewind to 2014 and 50's album, "Animal Ambition," when the rapper became the first to accept bitcoin which was then valued at around $662/bitcoin as payment for his work. It's said customers could get a copy of the album for just a fraction of a whole bitcoin. Sources say "Animal Ambition" pulled in about 700 bitcoin in sales, which is over $400k. And the cryptocurrency sat dormant in his account for years. Fast-forward to today, when bitcoin's value has fluctuated between $10k and $12k per coin. Turns out 50 is a money genius, sitting on anywhere between $7 million and $8.5 million, TMZ claims. The market has steadily declined over the last few weeks, so 50 might wanna think about unloading soon while the gettin's still good.